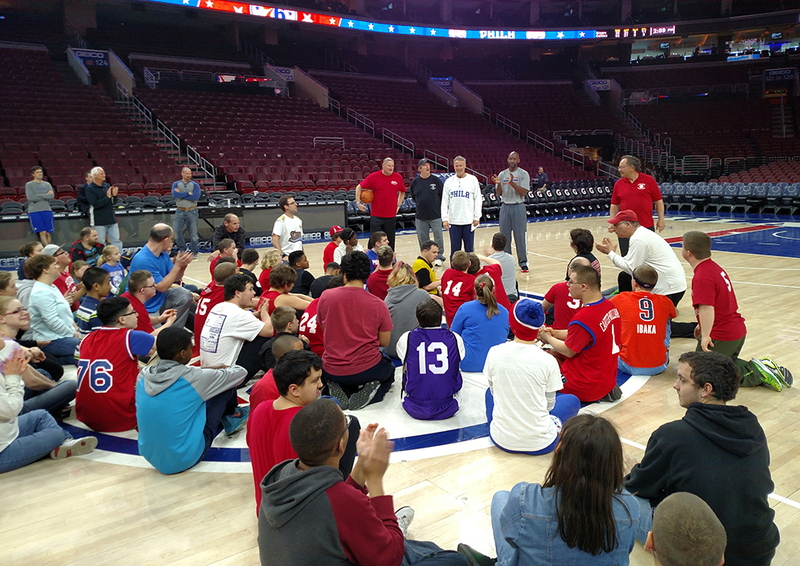 The 2016 Special Olympics Pennsylvania (SOPA) Night at the 76ers featured nearly 80 athletes and more than 300 additional friends and family at the Wells Fargo Center to watch the Philadelphia 76ers clash with the Boston Celtics. Although the Sixers did not win, it was more than a victorious evening for the athletes in attendance. The 76ers opened up the Wells Fargo Center court for an hour and a half of pre-game shooting, dribbling and basketball drills for athletes. The clinic included the support of several 76ers Assistant Coaches as well as an appearance from Head Coach Brett Brown. 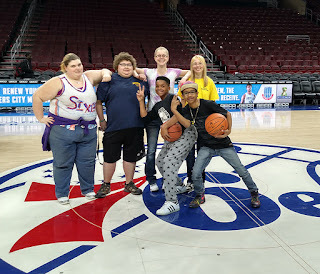 In addition, SOPA athletes were on the floor during pre game warm ups as part of the ‘High Five Tunnel’, greeting every member of the Sixers team as they took to the floor prior to the game. The evening concluded with every athlete receiving an autographed Joel Embiid or Nerlens Noel autographed 8 x 10 photo. 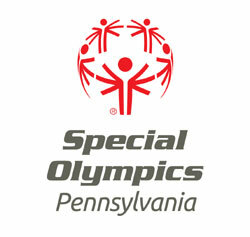 Participating local Programs included: Area M, Lancaster, Northampton, Montgomery, Philadelphia, Bucks, Delaware, Schuylkill, and a few athletes from Special Olympics New Jersey. 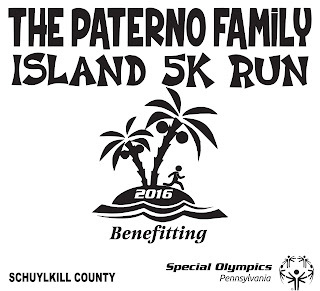 Special Olympics Pennsylvania – Schuylkill County will be hosting The Paterno Family Island 5k Run and 1 Mile Fun Run on Saturday, April 16, 2016 at Island Park, located in Schuylkill Haven, PA.
To register, visit www.pretzelcitysports.com, email islandrun5k@gmail.com, or call Kathy Roth at 570-294-2423 with any questions! Please note that this event is not to be confused with The Paterno Family Beaver Stadium Run taking place on Sunday, April 17, 2016 at Penn State University. 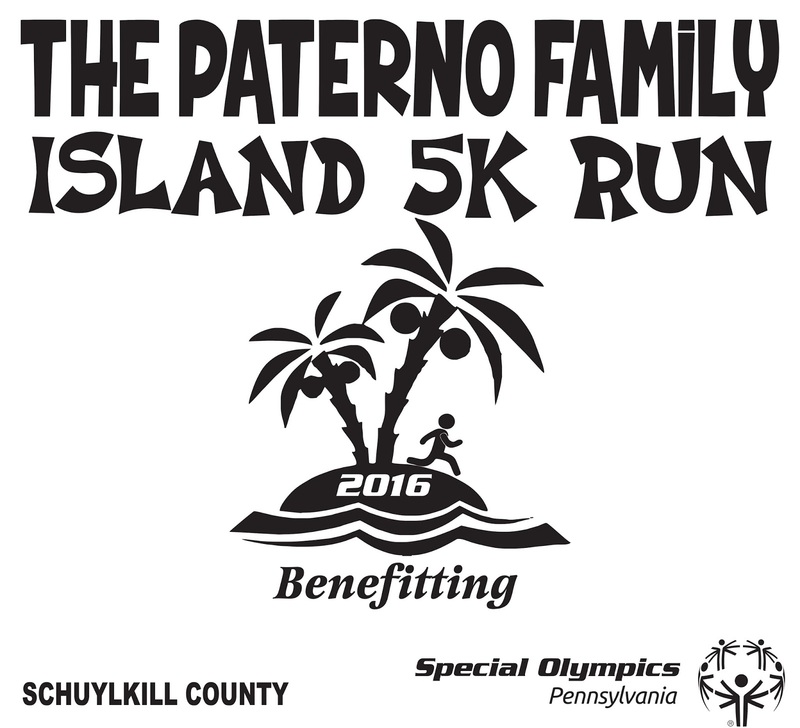 The Island 5K is a Schuylkill County event that is also named after The Paterno Family, longtime Special Olympics Pennsylvania supporters.